Kyung Ho Kang and Teruto Ishihara put on one heck of a scrap that resulted in a finish. The two fighters met in a bantamweight bout at the UFC 234 pay-per-view event from the Rod Laver Arena in Melbourne, Australia on Saturday night (February 9, 2019). 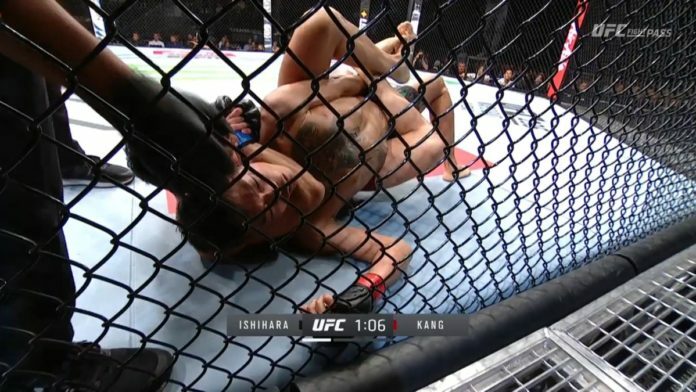 After a wild brawl that saw both men throw strong and reckless strikes, Kyung Ho with the takedown, and right into a back take. Kyung How with the choke in and got the rear-naked choke victory.